Use this eTool to create a histogram and complete problem 9-71. 1. 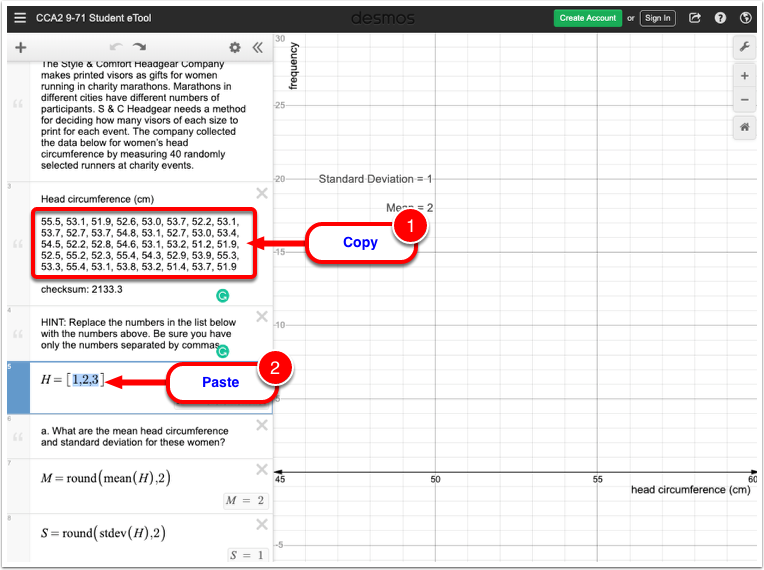 Copy the given data set on line 3. 2. Highlight the numbers in the list on line 5 and paste the copied date set. NOTE: Numbers must be separated by commas ‘,’.